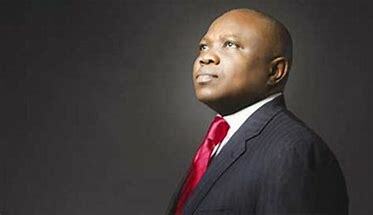 At the General Assembly of the Lagos East Senatorial District chapter of the All Progressives Congress (APC), which took place on Thursday 1st of March, 2017, in Epe, the leaders of the party and members within the district unanimously endorsed the candidacy of the executive Governor of Lagos State, Governor Akinwunmi Ambode, to run for a second term in office on the platform of the party. The motion for the endorsement of Ambode for a second term in office was moved by Otunba Olorunfunmi Bashorun on behalf of all the Leaders and the entire APC membership in Lagos East Senatorial Diostrict and seconded by the Senator representing Lagos East, Senator Gbenga Ashafa. The General Assembly of the party in the Lagos East Senatorial District, was convened by the leadership of the party in Lagos East upon securing the direction and approval of the foremost leader of the party, Asiwaju Bola Ahmed Tinubu. While addressing the press at the event, Senator Gbenga Ashafa described Governor Ambode as well-deserving of the endorsement of the party at the district level as well as across the state. Saying that his developmental acheivements across the State had earned him the unanimous support of the people. The Senator also briefed the press on some of his efforts through the instrumentality of the legislature aimed at complementing the achievements of the State Government to include ensuring that Lagos State and Lagos East benefit from the rail way modernization projects of the Muhammadu Buhari led administration through the inclusion and guaranteed funding of both the Lagos to Kano modernization project and the Calabar to Lagos Standard Coastal railway project. He went ahead to highlight the pivotal role he has played in the process of rehabilitation of the Ikorodu-Sagamu highway, which would be commencing very soon. Ashafa also mentioned other interventions to include, the facilitation of water and irrigation projects within the district, installation of transformers, distribution of entrepreneurship empowerment tools and entrepreneurship training programs, several medical outreach programs across the district, to mention a few. He concluded by urging his constituents to give Governor Ambode their unalloyed support stating that “Our goal is to continue to do as much as we can to complement the immense effort and laudable achievements of the administration of our dear Governor, Governor Akinwunmi Ambode in our Senatorial District and the State. I therefore call on all well meaning constituents to continue to give our unalloyed support to our dear Governor in order to continue enjoying the development and growth that his administration as brought to us all.